Social media is a different planet altogether, and yes, we all are its inhabitants, to the extent that people nowadays are spending more time on it, than in the real world. So, why not businesses? The increasing popularity of social media has tempted the businesses to the core, particularly, from a marketing point of view. We have them all on at least one of the social media platforms, of course, except the losers; be it the businesses offering baby bottles to botox or cribs to coffins. Just in case you’re wondering on my choice of examples, I tend to make it clear that every single thing (a product or a service) we need to live is promoted on social media. Are you now thinking, what’s not? And then, what’s more challenging and thought-provoking for businesses? Tools that are used to manage your presence and strengthen your brand positioning on social media. Running social media campaigns have become the go-to-market strategy to carve a niche in the online market. So, in continuation, I am sure you would agree to this, as there is hardly any business today that does not partake in this online race. According to Brandwatch, the total world population is estimated to be 7.6 billion, as of April 2018. Out of this, 4.2 billion people are on the internet, and 3.03 billion are active on social media. The figures speak volumes about the pace at which social media population is growing, wooing organizations like never before. It’s time for the organizations to woo them back! Talking specifically about marketing, Brandwatch revealed that 89% of B2B marketers use content marketing strategies out of which the most preferred ones are 83% – social media content, 80% – blogs and 77% – email newsletters. Marketing done right generate significant results, but the point is which social media platforms are the most popular? Statista recently researched on the popularity of social media platforms. As per the research, Facebook is the market leader with a whopping 2.2 billion monthly active users. It is followed by YouTube, WhatsApp, and others. Facebook is the market leader with a whopping 2.2 billion monthly active users. It is followed by YouTube and WhatsApp. The rush to grab eyeballs and attain top-of-the-mind brand recall is obvious, given the flurry of companies toiling to make a mark in the online space. There is every reason for you to follow suit. I would recommend you to not just blindly follow the mob. Instead, take a deep breath and revamp your social media strategy to get an edge over others. Now the million-dollar question is, how will you do so? A smart social media strategy is underpinned by smart tools that house relevant features to give your online existence the much-needed boost. With the right tools in place, you can easily achieve your social media goals. Today, every business relies on (or has to count) its social media team, along with the conventional marketing one, to carry on with marketing and promotion wagon. As it’s rightly said, social media managers are like a Swiss army knife; and running successful marketing campaigns is one of their many responsibilities. Does your social media manager know about the best tools that can help them with the same? For holistic social media marketing management, you require tools that can help you plan, execute as well as monitor the results of your campaigns. As a social media manager, this will make your work extremely easy and effective. There are scores of social media tools in the market that can streamline your process and help you harness the power of your content by reaching out to the right people. Deciding which tool to buy becomes confusing, especially when the market is bombarded with such products. But then, this blog is here to help you. Here, I am listing down the top 7 tools that will make the task of choosing the right one, a breeze for you. Recommended for you: 21 Tips on How to Do Location-based Marketing in 2019. Keep it together with Hootsuite. This is one tool, you should give a shot at, without a second thought. The reason why I am saying this is because of its robust features that enable you to schedule content, gauge your ROI on social media portals, monitor messages, track new trends, etc. In short, it serves as an all-in-one tool that drives greater engagement with your audience and at the same time, keeps you updated with the new happenings in the social media space. There is a reason why 15 million people use Hootsuite and to know that you will have to try it first. Key Takeaway – The tool provides a single dashboard to reply to messages and comment on posts, across various social media portals. It keeps your work organized and trains you well on how to use the tool and its features. Did you know, 22,836 companies use Hootsuite? Some of the great ones are MS to Go, LLC, Vertical Studio, WSInetMarketing, Tao Business Solutions, Great Bay Communications and many more. Manage it effectively with AgoraPulse. Comprising stellar features, this one-of-its-kind tool works wonders for your social media strategy. Use it to know how your competitors are doing in the market, and that too at pretty affordable prices. Competitor analysis is one of the major benefits of using AgoraPulse. Besides this, like every other tool, it has features that enable content tracking, scheduling, and monitoring. Key Takeaway – The tool is flexible for large as well as small firms. Large setups can use it to collaborate with teams; small-scale businesses can leverage it to track their efforts so as to know their progress. The tool is very flexible and easy-to-use. Out of 89 companies using AgoraPulse, some of the top-notch firms are Portent, Soci-Link, Creative Group, and Keystone Employment Group. 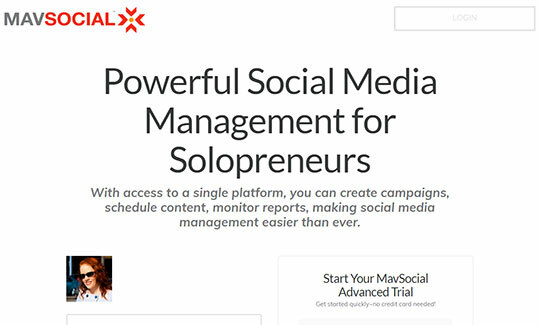 Be a pro at managing social media campaigns with Social Pilot. 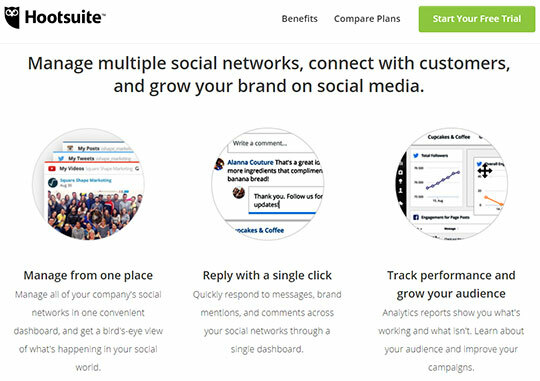 User-friendly interface, all-in-one dashboard, improved engagement, detailed analysis of campaign results, are just some of the benefits of using Social Pilot. Whether you have a large scale or a small scale business, in both the cases, this tool is highly helpful when it comes to collaborating with internal teams and managing all of your clients on one single platform. Key takeaway – The tool uses analytics to make use of the data and help you take impactful decisions for your social media campaigns. It is suitable for enterprises, small-scale businesses as well as agencies. Keep it simple and visually-appealing with MavSocial. There is nothing that you cannot do with this awesome tool. Besides the common features of curating and scheduling content, the tool comes with a digital library – a singular place to manage your multimedia for social media. Here you can edit and modify them according to your requirements. 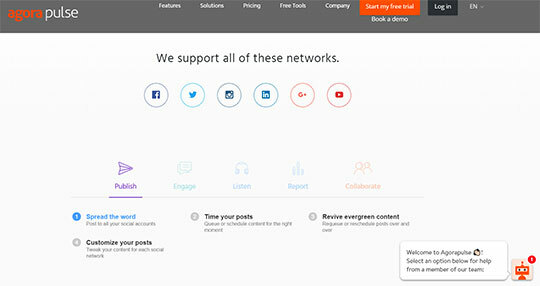 The tool also offers a social engine, using which you can search for relevant photos that you can use for the campaign. Key takeaway – With this tool, you can save a lot of time, as it is backed by AI image recognition technology, making content management easy and hassle-free. You can add a lot of images, stickers, and effects using this tool, to make your content aesthetically-attractive. Here comes your new content manager – MeetEdgar. 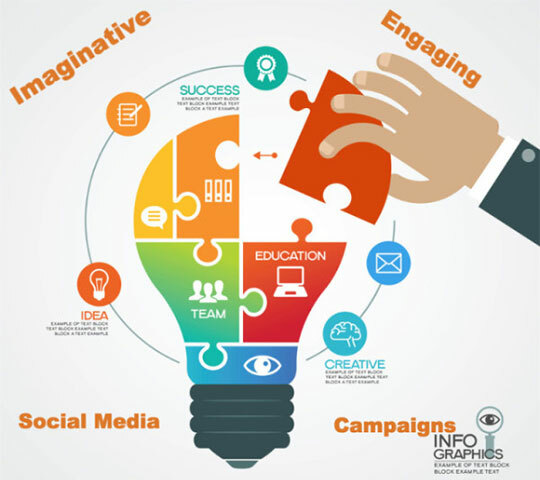 It’s time for you to infuse some innovation into your social media campaigns. Edgar is an unparalleled tool that helps you streamline your posts on social media, update content on various platforms, etc. 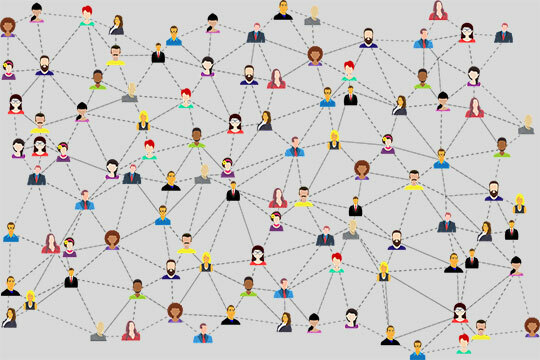 Leveraging this unmatched tool, you can enlarge your user base by resharing content as and when required and get access to the content library. Key takeaway – If you wish your brand to stay fresh and new and do not get tarnished with time, Edgar is the one for you. It automatically posts on social media on your behalf, relieving you from the task of re-sharing the content from time to time. Manage multiple social media accounts with Buffer. If you are one of those businesses that are active on various social media platforms, Buffer is one tool that you should definitely adopt. In fact, it is the one-stop solution when it comes to managing multiple accounts simultaneously. Social media marketing will become nothing more than a cakewalk with this cutting-edge tool. It will save you an ample amount of time as it eliminates the need to log into multiple accounts. Besides this, it has many other attractive features that are instrumental in repurposing your entire social media strategy. Key Takeaway – As mentioned above, the tool is extremely helpful if you wish to elevate your brand presence on multiple social media platforms. Also, the tool offers the facility to track engagement metrics and basis the results, make the required changes in your campaign. Manage it like a Pro with ProProfs Project. This simple to use ProProfs Project tool is a savior especially if you are struggling with the management aspect of your social media campaigns. If you will focus on tracking and monitoring, who will do other important works for your organization? Ha? It’s time to delegate such tasks to this marketing project management software as it is competent in managing various accounts in one single place. Its list of impeccable features includes setting a timer for task completion, creating task dependencies, generating reports with a click, collaborating with teams across departments and sharing files easily. Key takeaway – Using this tool, social media managers can assign, and manage all their tasks and accounts on-the-go on just one single page, also keeping their track. One can generate campaign reports and assess the campaign progress on a regular period. You may also like: The Do’s and Don’ts of SMS Marketing in Retail Business Sector. The market is swamped with innumerable social media tools, and choosing which one to use, is completely your discretion, as every tool is unique in its own way. It’s natural for anyone to get confused and ponder over which tool will serve them best especially when there is an abundance of them in the market. Hence, with this article, I intend to give you a glimpse of the tools that are currently in. Managing social media campaigns is no child’s play, but one right tool can refashion your strategy, delivering significant results in less time. The key to a successful marketing campaign is in higher visibility. The more noticeable you are to your target audience, higher is your probability to grab more customers. The key to a successful marketing campaign is in higher visibility. The more noticeable you are to your target audience, higher is your probability to grab more customers. As a social media manager, you should gauge the pros and cons of each tool and then zero in on the one that suits your strategy. Do not go by what others are doing, as a tool that weaves magic for some other business might not work for you, due to the many factors. Remember that one smart choice can make or break your marketing campaign. This article is written by David Miller. David is a technical writer, his works are regularly published in various papers and top-notch portals. His rich experience in project collaboration software helps him offer a latest and fresh perspective on improved efficiency in workflows across organizations. His informative works on similar lines can be viewed on ProProfs Project. Follow him: Twitter | LinkedIn.